Merry Christmas everybody! Per my now three year old tradition (seems crazy I've been "in the Tank" for three Christmas's now) I want to repost my blog post on my family's holiday tradition of consuming large slices of Eggnog Pie and also the recipe and how to make it. 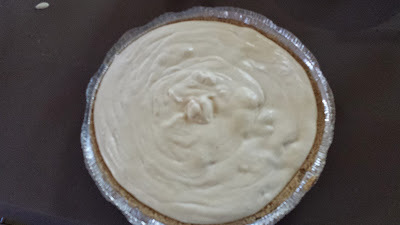 Here's the link: Eggnog Pie Post . I get December 24, 25 and 26th off but my daughter is coming to Houston and wants to see Star Wars on Christmas day (probably along with tens of thousands of other Houstonians) so that will keep me in the metro area.